NAPLES, FL - CAPREIT, a national real estate development and investment company responsible for the ownership and management of more than $5 billion of multifamily assets, announced the acquisition of Waverley Place, a 300-unit apartment community located minutes from the beach on the Sunshine State's west coast. 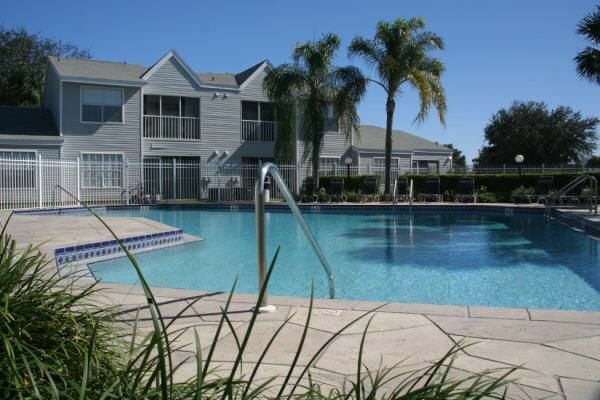 CAPREIT will renovate portions of the community while maintaining many of the amenities already in place, such as a resort-style swimming pool, tennis courts and barbecue areas. From its perch in the Golden Gate neighborhood, Waverley Place sits moments away from downtown Naples and provides expedient access to Interstate 75. "Naples is a fantastic submarket south of Fort Myers, and Waverley Place already possesses a charm of its own and a prime location in the sixth-wealthiest city in the nation," said Ryan Tustin, acquisitions analyst for CAPREIT. "While we believe our upgrades will add significant value for our residents and investors, we also plan to keep intact the community's relaxed, resort-style vibe. Waverley Place will be one of the finest apartment communities in Golden Gate." CAPREIT will institute vast improvements to the interior units and common areas, including an extensive revamp of the clubhouse, roof replacements, landscaping, painting of door trims and upgrades to the pool area. The interiors of the 1-, 2- and 3-bedroom apartment homes will receive a significant refresher as well in the form of stainless steel appliances, updated cabinets and countertops, vinyl wood-plank flooring, new carpet, new paint and modernized plumbing and light fixtures. Waverley Place is situated just off Green Boulevard at 5300 Hemingway Lane and surrounded by an abundance of picturesque lakes and several major land reserves, including Everglades National Park. A pristine white-sand beach bordering the Gulf of Mexico is about 10 miles due west of the pet-friendly community, and downtown Naples the same distance to the southwest. The city is home to Naples Zoo at Caribbean Gardens, Kensington Golf & County Club, Naples Municipal Airport and Physicians Regional Medical Center – Pine Ridge. Fortune 1000 company Health Management Associates is among the city's many high-level employers. Fort Myers is 37 miles to the north of Waverley Place and Marco Island 32 miles to the south. Fort Lauderdale is a 90-minute drive to the east and Miami a 1 hour, 50 minute drive to the southeast. Including Waverley Place, CAPREIT currently owns and operates nearly 13,000 apartment homes across the nation.